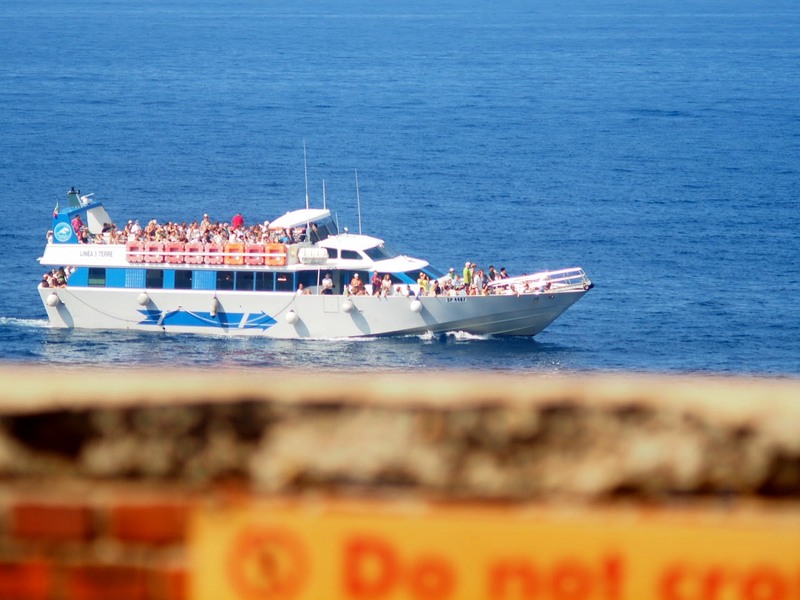 Are you a large group, 25 passengers at least, and you want to visit the Cinque Terre? The Maritime Tourism Consortium 5 Terre – Gulf of Poets has 15 boats of various sizes and capacities providing passenger service between La Spezia, Lerici, Portovenere, 5 Terre and Levanto; from La Spezia and Portovenere to Palmaria Island and Lerici to Portovenere. In Summer more destination will be added, as Viareggio, Forte dei Marmi or Portofino. 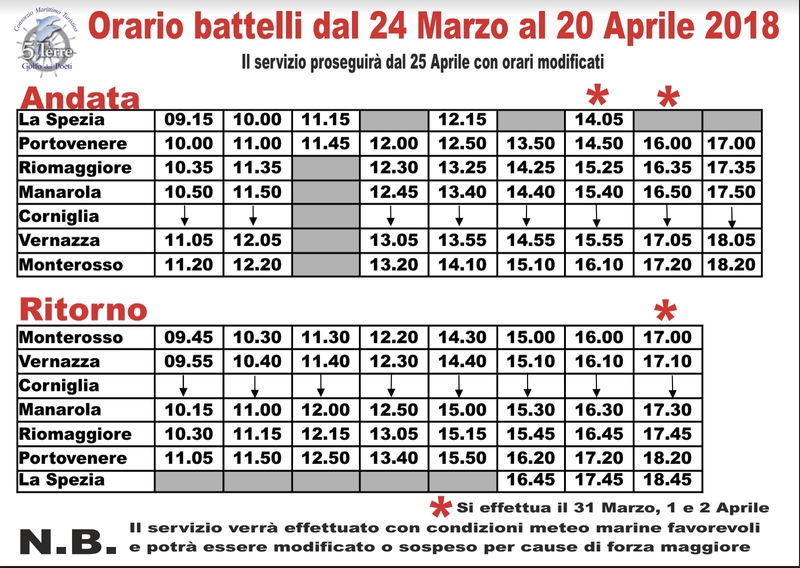 At the moment the company publishes only the ferries schedule up to April 20th and the service will be working from La Spezia to Monterosso en return with stops in all the Cinque Terre villages with the exception of Corniglia that has no adequate marina. Cinque Terre Riviera can reserve your party tour only if you have 25 or more passengers. No individual tickets will be booked.